What Inspired The Starlight Chronicles Series? It was after a short writing break that I was inspired to sit down at my wooden desk, cup of tea in hand, and write a psychological thriller. It’s also worth mentioning that I had no clue how to write such a genre at the time. But I was driven around the concept of the stars actually being lanterns in the sky in need of regular re-lighting, and creating a world around that with a stealthy antagonist. Of course, the book flopped a couple of chapters in for this reason, and the draft was left saved on my memory stick which I unthinkingly lent to a friend for her assignment. This friend happened to be a major bookworm and found the manuscript, devoured it, and demanded I keep writing it. At the time, another story concept had floated into my brain—one consisting of stars and princesses and magical kingdoms. The two ideas sort of blended together, and suddenly I was really inspired to write a story much more within my reading tastes. A tragedy story with gritty, dark romance and action! I wanted my readers to cry, to scream with frustration, to feel deeply for the characters. I wanted them to be awed by the plot twists and not be able to possibly predict what was coming. I loved reading stories like that—was constantly awed by authors who could make me feel such a way, and I vowed that I would do the same. It all fell together so easily and so quickly that I finished the story in a month. By the end of the year, I had four books drafted out and a small following of loyal readers glued to the series. What makes this series so powerful is the conflict between the characters and how deeply entwined it is with the plot—there are so many stakes and perspectives to consider. Each character is uniquely different and contributes to the overall plot, making them necessary key players in the conflict. This was one of my big goals—I wanted to write a story where siding with just one character would be difficult, and there would be amazing character growth ARCs to witness. After many re-writes, the first book is finally hitting shelves and I couldn’t be more excited or prouder—I can’t wait for readers to connect with my story and follow the exciting journey waiting for them! I am a huge fan of royal revolutions, magical fantasy and powerful, badass characters—which is why I read these books as well as write them! So buckle up, and let’s take a look shall we? I’m sure most people who read YA fantasy have heard of this book by now. Red Queen kind of blew up—and I definitely see why. Some of the best parts of this book were the magic structure in this world, the worldbuilding, the stakes and the plot twists! (If you’ve read this one you know exactly what I’m referring to). Ah… dreamy Stardust! I love this beautiful, whimsical read and the adventures the characters go on. Also, the romance is just lovely! Though Lanterns In The Sky is more dark and gritty, it has it’s powerful and lovely moments—and if you love ‘star’ magic and constellations, then Lanterns In The Sky is heavily based around that entire concept. I like to think that the writing is balanced between dark moments and hopeful ones—with an interesting love story unfolding along the way. This book has some amazing character development, action, and shares a very similar theme to the backstory of The Starlight Chronicles. Character conflicts are something that come up a lot in Lanterns In The Sky—so these books share a parallel here. 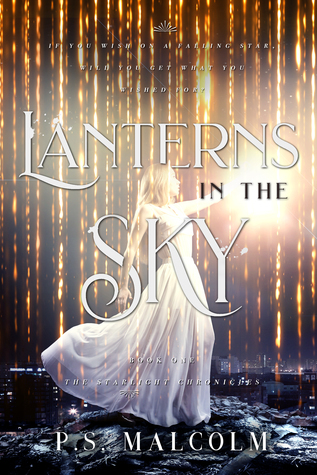 If you love European settings crossed with fantasy worlds, you will just adore Lanterns In The Sky. One of the most notable things about Daughter Of Smoke And Bone was it’s distinct settings in Prague and Paris and other places outside of the U.S. It also managed to magically blend fantasy worlds in the epic way that Laini Taylor does! Although we don’t get to explore the other ‘fantasy’ worlds of The Starlight Chronicles until book two, the setting of Lorelei is entirely unique on its own and influenced by Vienna and Salzburg. Plus, there are angels in this book and they are super cool beings! P.S.Malcolm (Pagan) grew up in Proserpine, Queensland– a small, Australian country town on the edge of the Great Barrier Reef. She was a storyteller from a young age and spent years perfecting her craft. For two years, she juggled waitressing in tourist filled coffee shops while undertaking two degrees in Creative Writing online. She has always had an interest in writing, but never saw herself working in the industry until she made the choice to self-publish her debut novel, STUCK ON VACATION WITH RYAN RUPERT. Realizing that she loved the process of publishing her book, she pursued an internship at a publishing house and snagged a spot as Pen Name Publishing’s Marketing Assistant. 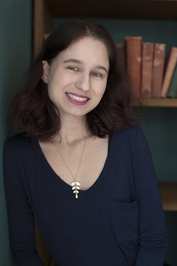 In between interning and writing, Pagan opened her first business working as a freelance Marketing Strategist for Paperback Kingdom– which helps indie authors with all aspects of their author careers. Pagan also enjoys reading– particularly fantasy and paranormal– and is a passionate blogger. 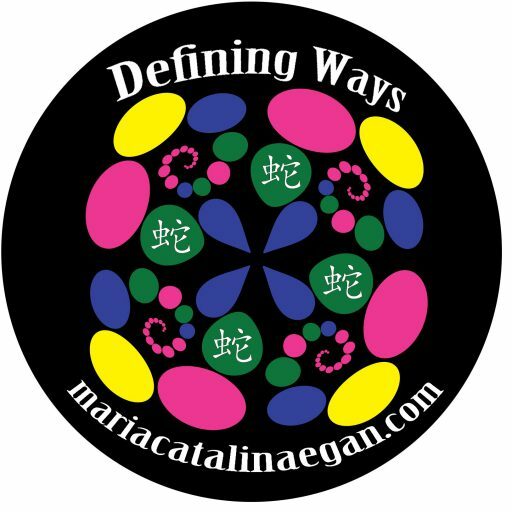 She reviews books that she has read on her personal website, and indie books on her business blog. Some of her favourite and most influential authors include Amanda Gernentz Hanson, A.G. Howard, Marissa Meyer and Michele Jaffe. She is a cat enthusiast, tea lover, and floral fanatic.